Warren Keith Henness was scheduled to be executed at 10 am EST, on Wednesday, February 13, 2019, at the Southern Ohio Correction Facility in Mansfield, Ohio. His execution as been rescheduled for Thursday, September 12, 2019. Fifty-five-year-old Warren was convicted of the robbery and murder of 51-year-old Richard Myers in Columbus, Ohio, on March 20, 1992. Warren has spent the last 25 years on Ohio’s death row. Warren's execution has been rescheduled after Ohio Governor Mike DeWine issued a reprieve due to concerns over the drugs used for lethal injection in Ohio. Governor DeWine's announcement came after Magistrate Judge Michael R. Merz ruled that the 3-drug lethal injection procedure used in Ohio was, essentially, a "fatal waterboarding." Judge Merz claimed that according to expert testimony, all the drugs would produce agony for the inmate during the execution. Judge Merz, however, ruled that he was unable to halt the execution due to a 2015 Supreme Court ruling, that requires inmates to provide a suitable and viable alternative for execution if they argue that the state's method of execution is cruel. Governor DeWine, who had previously served as Attorney General for Ohio, rescheduled Warren's execution of September 12, 2019. On the morning of March 20, 1992, Richard Myers, a laboratory technician, told his wife that he had something to do before reporting to work at midnight. Richard was not specific with what he needed to do, although his wife assumed it had something to do with his volunteer work of counseling drug and alcohol addicts. Richard was gone when she returned home from work that afternoon. Richard never reported to work that night. Warren Henness was a drug addict who had been receiving help from Richard. On the morning of March 20, 1992, Richard picked up Henness from where he was living with his wife, Tabatha. A few hours later, Henness returned to pick up Tabatha in Richard’s vehicle. Richard was no where to be seen and Henness had Richard’s credit cards and check book. Tabatha suggested using a drug dealer, Roland Fair to pose as Richard so that they could use the checks and credit cards. Upon arriving at Fair’s apartment the following day, Henness told Fair that the owner of the checks, credit cards, and vehicle was in a hotel room, being kept drunk by two prostitutes. While at the apartment, Henness was seen washing a knife. A knife with a dark stain was also seen soaking in the sink. Hennessy said the knife was his. The trio used the checks and credit cards to buy drugs and merchandise to sell for drugs. During their spending spree, Tabatha suggested that Henness tell Fair the truth about Richard. Henness said that he killed Richard after Richard pulled a gun on him. They discussed ways of disposing the body. A few days later, Tabatha noticed that Henness was wearing a gold wedding ring that had belonged to Richard. Henness had also sold the car, forging a bill of sale. Shortly thereafter, police impounded the car, as Richard, it owner, was reported missing. The kid to whom Henness had sold the car told police he had bought the car from Henness. On March 25, 1992, police were anonymously alerted to the body of a man in an abandoned water purification plant. It was Richard Myers. Richard had been gagged, his hands tied behind his back with a coat hanger, and his shoe laces tied together. He had been shot five times in the head, had a large cut on his neck, abrasions on his knees, like he had been forced to kneel on concrete. His left ring finger had been severed six to eight hours after death. Henness was picked up by police on an unrelated charge. As a suspect in the murder of Richard, homicide deceives interviewed him. Henness first alluded to Fair committing the murder and stated that he did not own a handgun. Later, Henness blamed Cubans for the death or Richard, claiming that Richard was in the wrong place at the wrong time. Henness was convicted and sentenced to death. Henness is insisting that he is innocent of the crime and is asking the courts to spare his life. 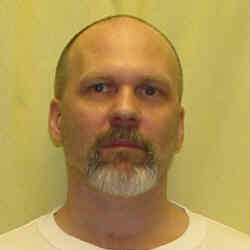 The Ohio Parole Board has refused to halt his execution and grant clemency. The ruling was unanimous. Henness argued the the was innocent of the crime, however, the Ohio Parole Board noted that he had told his lawyers so many different stories of the events that they did not know what was true. Warren Henness has had several execution date since 2015. The numerous execution dates were stayed following various legal problems that have arisen since the January 2014, execution of Dennis McGuire. Dennis was executed in Ohio using a new two-drug execution process. The execution took longer than expected, with debate over whether Dennis was fully unconscious during the execution. Due to the controversial nature of Dennis’ execution, following execution were postponed and rescheduled. In January of 2015, Ohio announced that it would not carry out any executions that year, in order to allow the state to obtain execution drugs and implement a new execution protocol. Read more information here. Please pray for peace and healing for the family of Richard Myers. Please pray for strength for the family of Warren Henness. Please pray that if Warren is innocent, the truth will be revealed before he is executed. Please pray that Warren may come to find peace through a personal relationship with Jesus Christ, if he has not already.